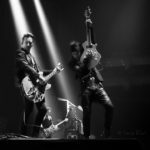 Svenja Block (Saturday) and Mike Ainscoe (Sunday) teamed up for a Louder Than War hit on the 2018 Stone Free Festival at London’s O2 Arena where some of rock’s big guns gathered. Now established in what they call ‘a firm fixture’ on the calendar, the third year of Stone Free crossed two distinct days. 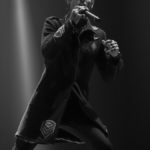 For those who like their metal of a heavy variety, The Scopions and Megadeth were a potent Saturday pairing while progressive rock ruled (in the main) on Sunday’s timetable. 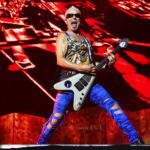 Svenja Block checked in and photographed some of the Stone Free Saturday highlights from Saturday’s hard rock spectacle inside Greenwich’s O2 Arena. 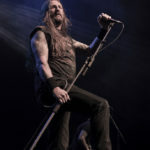 London’s finest stoner rock and metal outfit Orange Goblin spread sonic good vibes and combined beer and water showers courtesy of singer Ben Ward across the Indigo O2 in the afternoon while the O2 Arena was still filling up with people when LA rockers Buckcherry took to the stage but the band’s eight song set along with the opener Ridin’ left no doubt about their brilliant live performance led by frontman Josh Todd. Just an aperitif for the main course as “Megadeth! 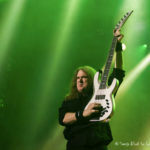 Megadeth! 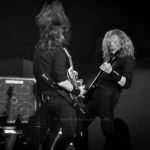 Megadeth!” chants could be heard across the arena which erupted into huge cheers when guitarist, main man and original Metallica guitarist Dave Mustaine broke into Hanger 18. 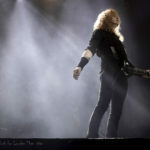 There didn’t seem to be a lot of engagement with the audience, yet Megadeth delivered powerful classics like Wake up Dead, Sweating Bullets and the suggestive Symphony Of Destruction. 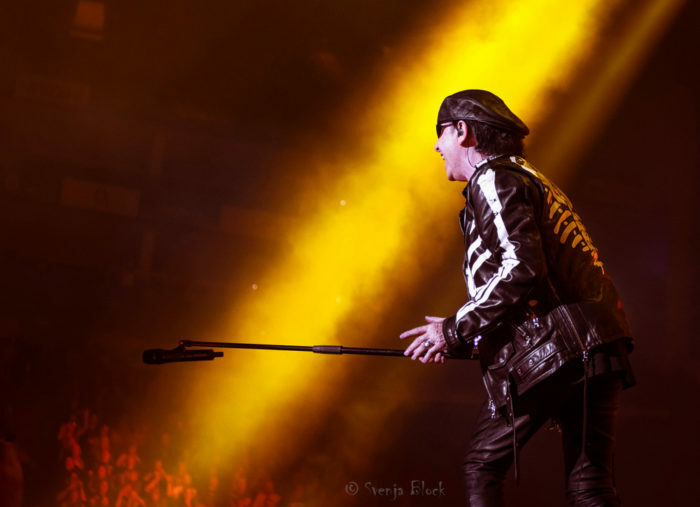 German ambassadors of rock, Scorpions brought their stunning visual CRAZY WORLD Tour to the now packed out O2 Arena. 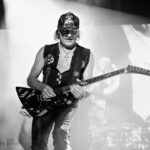 The ramp leading closer towards the rapturous crowd was busy by now – singer Klaus Meine, rhythm/lead guitarist Rudolf Schenker and guitarist Matthias Jabs could be seen dashing along it back and forth in true rock’n roll style. And the music – over 110 million records sold worldwide! The whole live performance was a brilliant song by song collective singalong. From the first song Going Out With A Bang we were given classics like Is There Anybody There?, the politically charged Wind Of Change and emotional encores Still Loving You and Rock You Like A Hurricane. 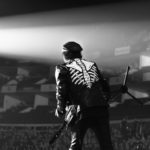 There was a beautiful reflective moment, too when Scorpions paid tribute to the one and only Lemmy Kilmister. Meanwhile, Stone Free Sunday in the main arena was a more prog orientated affair presided over by PROG magazine editor Jerry Ewing announcing all the acts (bar Yes/ARW) with gusto. Not that there was nothing to shake the head at. 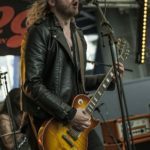 On both the Indigo stage and the outdoor Orange Amps stage, hard and bluesy rock was easy to come by. 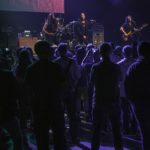 On the outside stage, powered by Orange Amps, a series of bands climaxed with a typical rush from The Bad Flowers, while inside the dome, Jared James Nichols had kicked off a nice variety in the Indigo with his almost pure blues rock after a heavier prog inclined opening salvo from Godsticks. 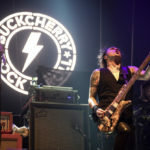 Ginger Wildheart’s rawer assault gave way to the more polished delivery of New York’s Tyketto and a classy performance from Richie Kotzen’s trio. 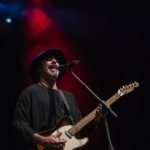 The Winery Dogs/Poison/Mr Big master craftsman delivered a series of classy licks from beneath the shadows cast by the wide brim of his hat. 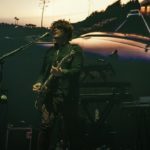 In a fashion similar to the Saturday, the main arena filled up slowly as Anathema took to the stage. Always an outfit who provide intrigue and with just the two Cavanaghs (bassist Jamie Cavanagh on a sabbatical) plus Lee Douglas spread across the stage front casting their atmospheric spell with music from the award winning The Optimist album and then something more familiar in the crescendo packed two parts of Untouchable. 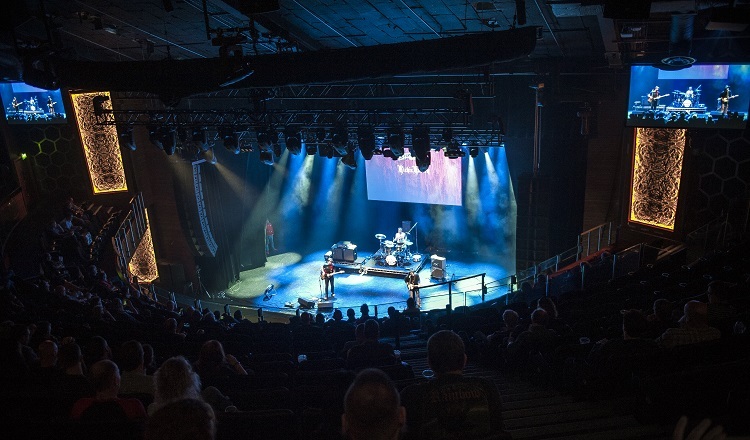 A diversion from the main theme saw Joanne Shaw Taylor proving that blues rock and prog share a similar passion. 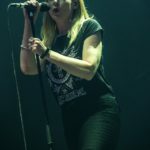 You’d be lucky to find anyone who was having a better time that she was onstage as she and her crack band nailed it with a set that will have made those old proggers in the audience who may have thought “Joanne Shaw who?” sit up and take notice. After the dark intensity of forty minutes of Anathema, it was the perfect antidote. 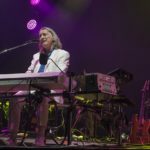 Talking of which, an hour of Roger Hodgson, decked out in the splendour of his usual white suited uniform, there are those who would argue he deserved longer. Having said that, it was an hour carefully selected and packed with songs that you know from the Supertramp canon. One faultless hit after another, another band who could cut the mustard plus the drama of what could be their finest moment in Fool’s Overture. There were even pot plants – all of which added to arguably the best set of the festival. 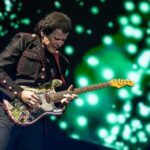 A reminder that he’s back for a date at the Royal Albert Hall (surely Manchester Bridgewater is worth a visit for the Northern fans Roger? 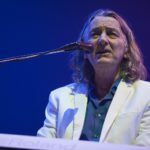 ), he won’t have done any harm for ticket sales especially those patiently awaiting Yes who may have forgotten he was still in the game. 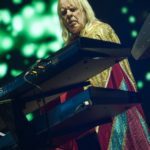 The 50th Anniversary of Yes music is currently being celebrated by the band they still call Yes complete with classic Roger Dean logo and also the outfit based round the Anderson / Wakeman / Rabin combination who tout music from the classic period with the more AOR version of eighties Yes. All presided over by the man who personifies the Yes ideal and who formed the band with Chris Squire 50 years ago, Jon Anderson. It’s confusing but all in a day’s work for Yes fans, many/most of whom are just glad to still be able to see their heroes playing the music they love. 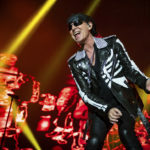 For a band who like the Scorps and Roger H, are advancing in years, the power of Hold On at the start of the set was remarkable before they went through the repertoire with which they’ve been touring the world over the last 18 months. 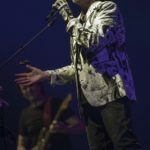 The addition of I Am Waiting from the Talk album (for my money the pick of the Rabin period albums) was a choice addition although when any version of Yes play Awaken, everything else pales into significance. Like Hodgson, Jon Anderson’s voice is in amazingly good shape given Hodgson at 68 has 5 years on Anderson who maybe took a little warm up time especially with a more energetic and frankly hard rock opening number to test him out, but both he and Rabin were almost as playful as Joanne Shaw Taylor; just Wakeman looking playing up to his grumpy old rock star label, perhaps under the weight of that enormous cape. 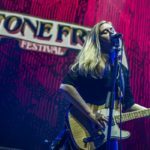 What came across at Stone Free 2018 was a celebration of the old and the young, the establishment and the emerging. 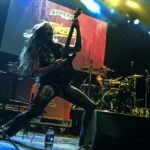 Mixing the bill and giving the opportunity to fans to feel comfortable while having the chance to discover something new whilst allowing the aspiring bands to mix in an environment with their elder peers, sees Stone Free as a worthy addition to the UK festival circuit. All Saturday photos © Svenja Block. 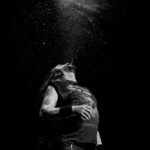 You can find more of Svenja’s photos at her Pixieset, Facebook and at her Louder Than War author’s archive. Please note: Use of these images in any form without permission is illegal. If you wish to use/purchase or licence any images please contact Svenja Block at blocksvenja@yahoo.com.